Humans have been able to explore a lot of this planet. The one place that eludes scientific exploration are the oceans. The pressure underwater is too great for humans (and our technology) to overcome – for now. SO, what that means is there are mysteries of the ocean we don’t fully understand – yet. 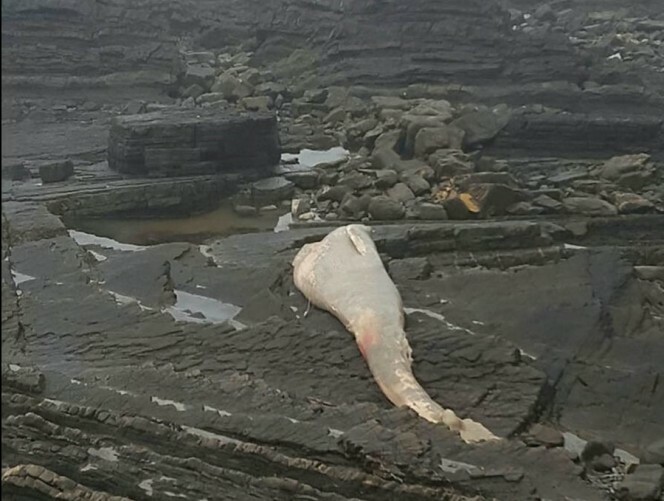 Check out this 35-foot long sea creature that ended up on the shore of Hartland Quay in Devon, England. It is roughly the size of a double-decker bus. 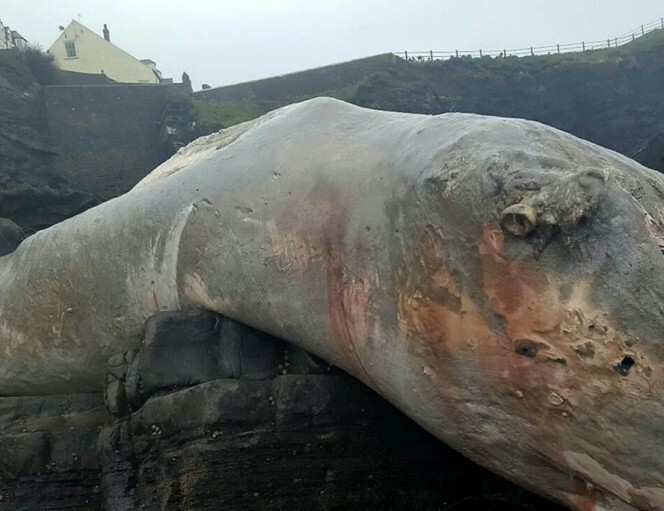 Many residents had a hard time believing that the creature was real! 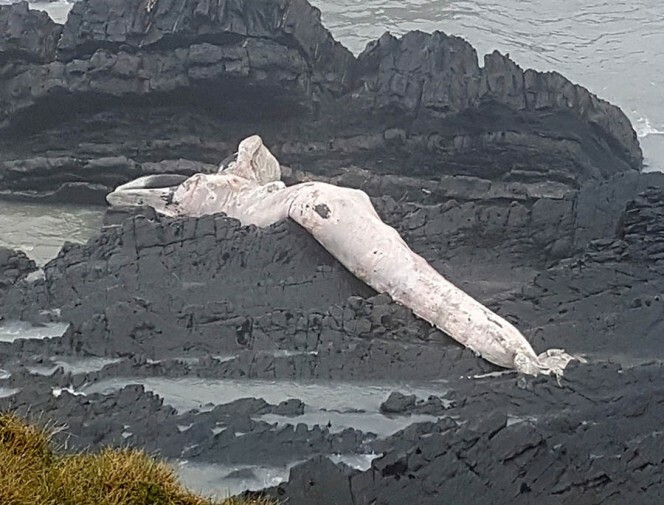 Sarah Stafford, the manager of the Hartland Quay Hotel and Pub, remembers calling the authorities when the creature washed up on shore.